Amazon has launched its long rumored ‘Netflix for Books’. The Kindle Owners’ Lending Library allows Kindle owners having an annual Amazon Prime membership to borrow 1 book per month – free and with no due dates. While this is short of the expected ‘eat as much as you can’ plan, it certainly increases the attractiveness of the Prime service, which adds free books to its existing 2 day shipping and free movie streaming benefits. This also seems to be a test of sorts for a much larger launch – perhaps an eventual ‘read as much as you can’ book rental service. Read more at Introducing The Kindle Owners’ Lending Library. 1DollarScan.com offers to digitize any book @1$ per 100 pages. Ship your books to them and they send you PDFs in return. To avoid copyright issues, the firm scans each book, destroys it and does not maintain master digital copies on their servers. Implications of this service are huge – publishers will gain by the removal of books from the huge second-hand book market. However, they may argue that they are loosing potential digital books sales they could have made to the users of 1DollarScan. 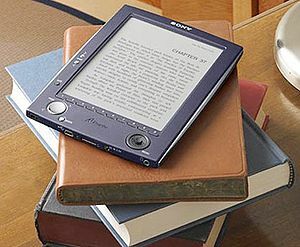 There are also several grey areas – it is not clear which rights apply to the PDFs of hard copy books – owners have greater rights over analogue books as compared to digital books. For example, can one borrow a PDF of an analogue book without breaking the TOS of the digital version of the book? Also, when someone buys an analogue copy of a book, do they get the right to digitize it? Or would copyright law require them to buy a separate digital copy? Read more at Media digitisation: Book transubstantiation | The Economist. Availability – these books will be available at over 11,000 local libraries. Advantage of ebooks over traditional paper books – customers will be able to take notes & make annotations (which Amazon will store, for free, on its amazing Amazon cloud). Thus if you borrow or buy the book in the future, your notes will still be there. This may have major implications on consumer buying and consumption habits – for example, no more waiting for a book to get returned (assuming that there will be no limit to the number of Kindle copies of a book that are ‘stocked’ at a given library). Also, the books will feel like personal copies of the book due to the annotations. Instant access and a personalized book reading experience – guess some folks may decide not to buy a copy of that ol’ book that they revisit once every few years! Here is the Amazon press release – Kindle Books Now Available at over 11,000 Local Libraries.